On Good Friday the Atonement is accomplished. On Holy Saturday – here on Earth an intermission in the great drama of salvation – the Redemption of the world begins. It starts from the very bottom, with the Harrowing of Hell. The Apostles Creed tells us that after he died and was buried, Jesus descended to hell, or (depending on the translation) to the dead. This sequence of events may be factual, rather than merely an artifact of the way that we tell stories. That is, Jesus might not have set out for Hell until after he had been laid in the tomb. The immemorial practice of the Church holds that after death, the soul remains in the vicinity of the body for at least two hours. This is why Last Rites can be still efficacious during that liminal period, and are therefore administered to those whose bodies are just recently dead. The notion is quite compatible with the literature on near-death experiences, and with the folk wisdom behind the tradition of the wake. 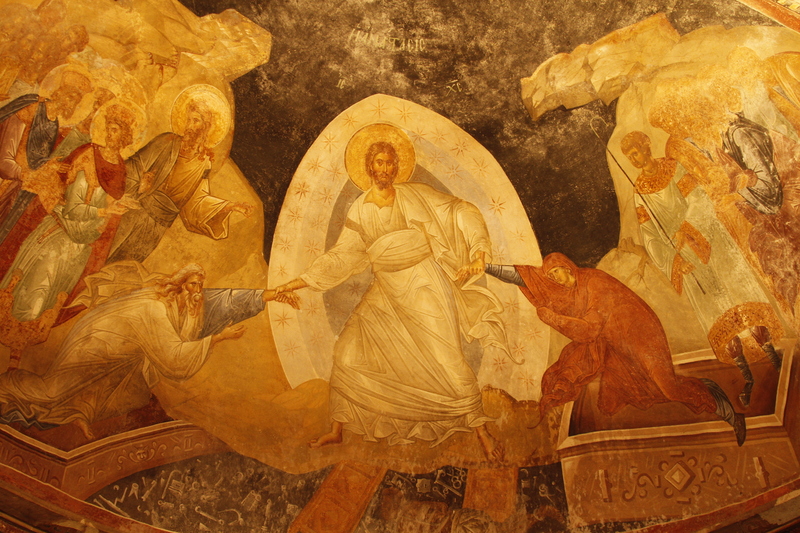 The hell or Hades to which Jesus descends today is the realm of the dead. It is a state or place. Indeed, it is both, for these two terms are coterminous in respect to contingent beings. By the definition of contingency, all the states of contingent beings, as caused, are involutions in and of a nexus of causal relations. And that’s just what a place is: a locus in some nexus of causal relations. Sheol is not a world of everlasting damnation and torment, but rather the shadowy underworld of the Greek Hades and the Hebrew Sheol, where souls waited. What were they waiting for? In the pagan understanding, nothing. The pagans thought the wait of Hades was interminable, thus pointless, and as therefore meaningless, so devoid of real enjoyments. In the Christian understanding, the dead in Sheol awaited the final resolution of their everlasting lives at the Atonement, in bodily resurrection either to everlasting glory or to everlasting pain. Things are quiet today, here on Earth. In Hell, it’s a different story. Below, we see Jesus grasping Adam and Eve by the wrists, to drag them from the Pit that yawns beneath them. The gates of Hell lie under his feet. This entry was posted in Christianity, Spiritual Life, Theology. Bookmark the permalink.